Soviet Il-2 Sturmovik (attack aircraft) from 4th Air Army (commander Colonel-General K.A. Vershinin) in the sky during the Battle of Berlin. 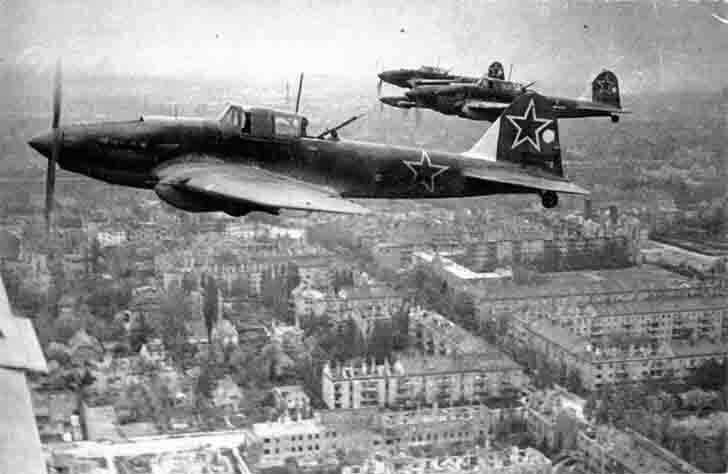 IL-2 – Soviet attack aircraft of the Great Patriotic War, created in OKB-240 under the leadership of Sergei Vladimirovich Ilyushin. The most massive combat aircraft in history, more than 36 thousand pieces were produced.